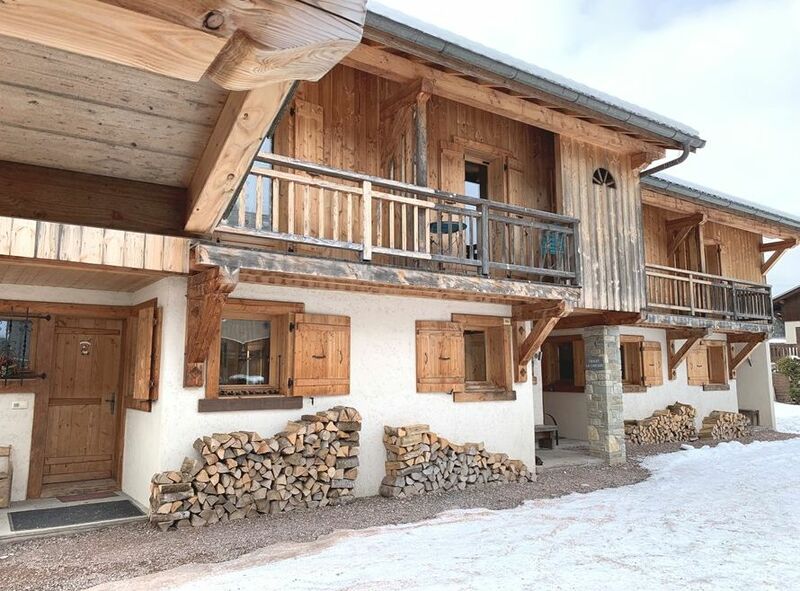 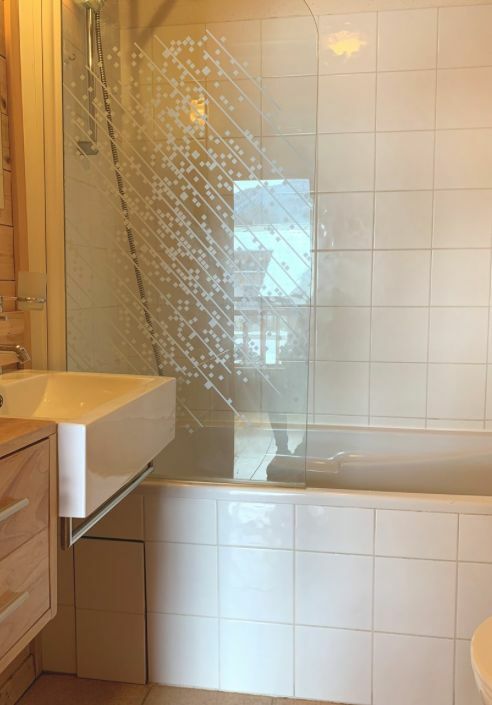 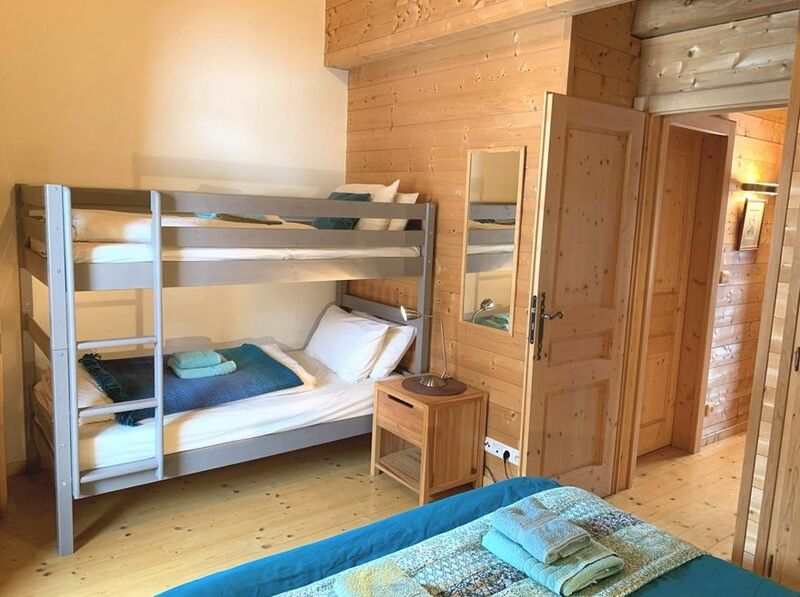 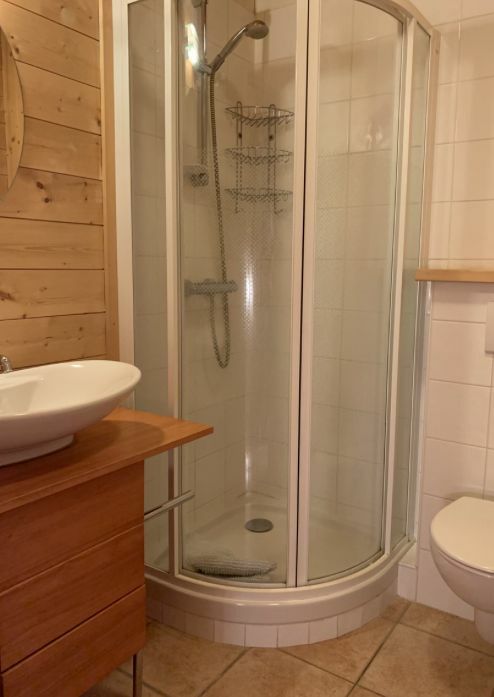 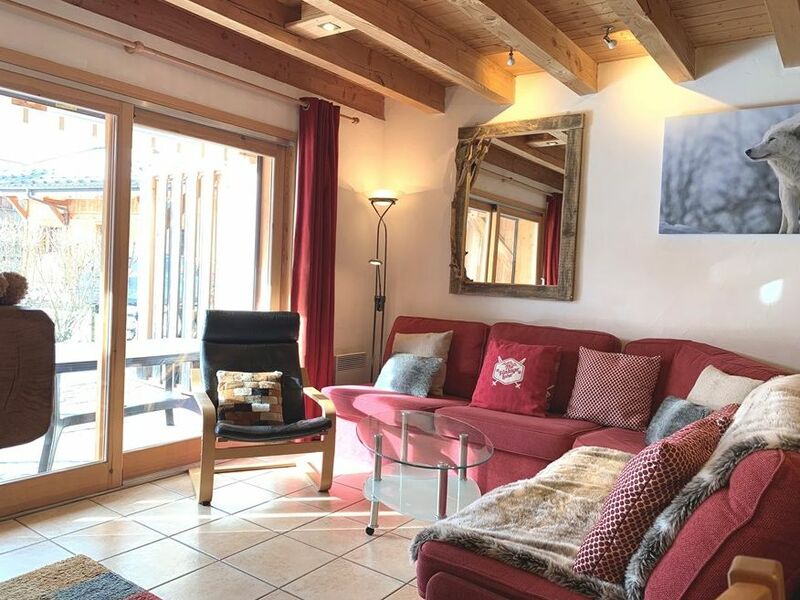 Built in 2006 by local artisans, this charming three "plus" bedroomed triplex is in a quiet location just 300m from the ski bus stop and only 1km from the centre. 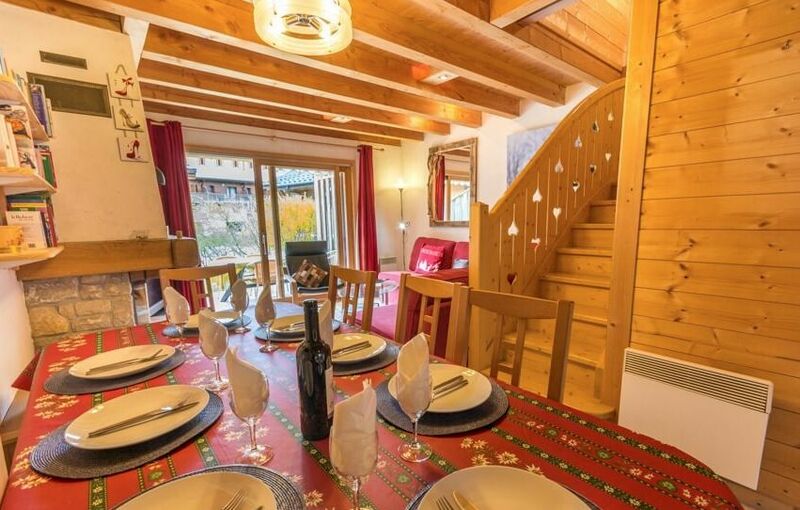 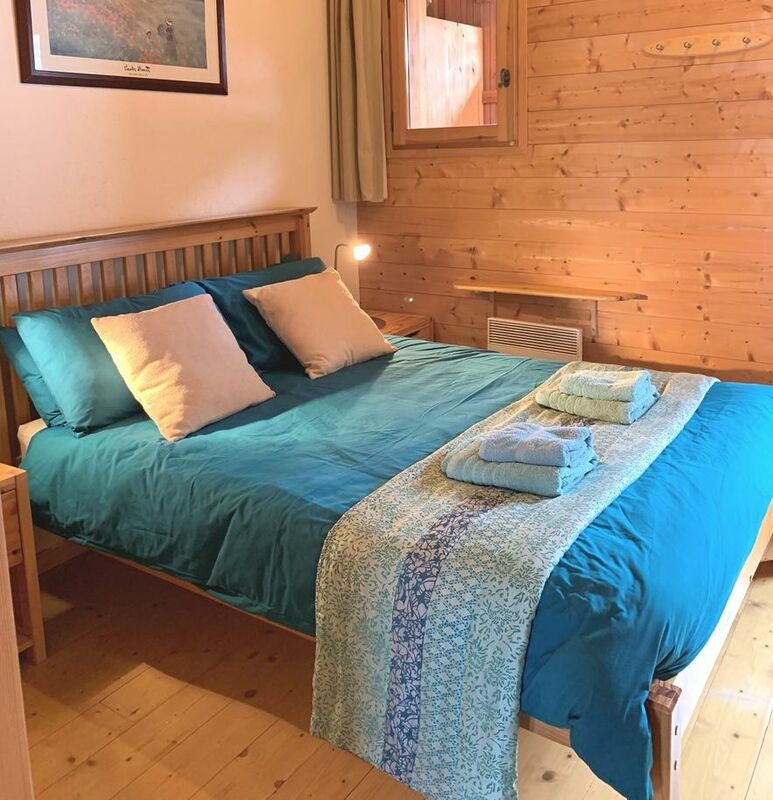 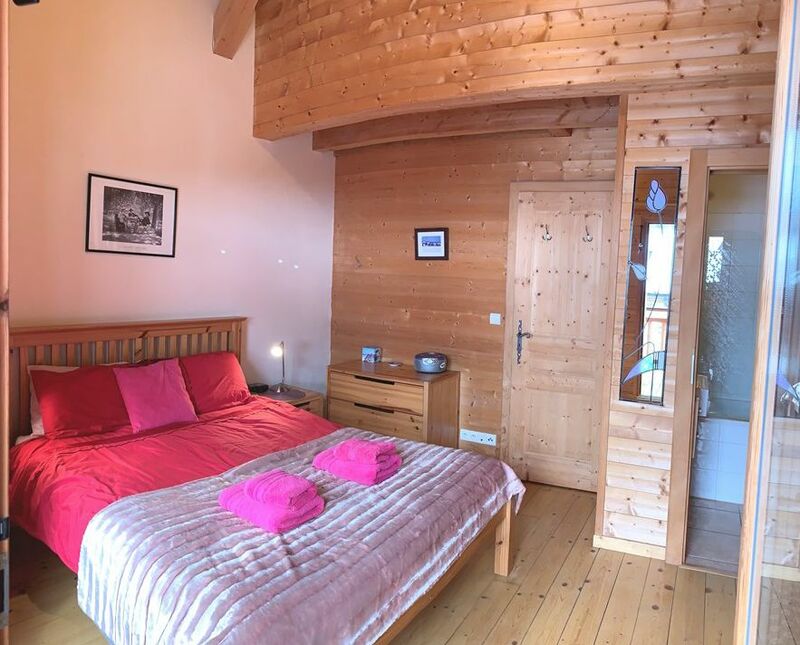 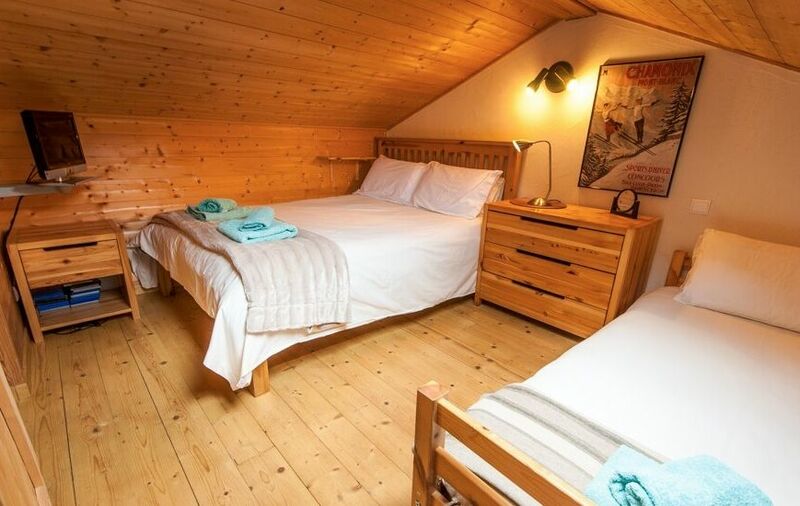 The property has been beautifully made with lots of traditional Savoyard style features and its interior has been intelligently designed to accommodate up to 9 adults/children. 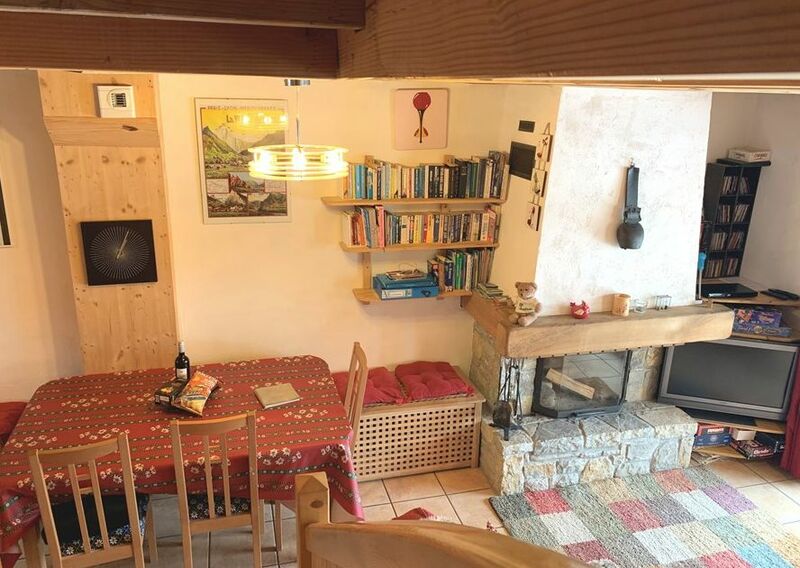 Accommodation includes large open plan living room with kitchenette, traditional fireplace and access to the terrace, 3 bedrooms and a mezzanine sleeping area. 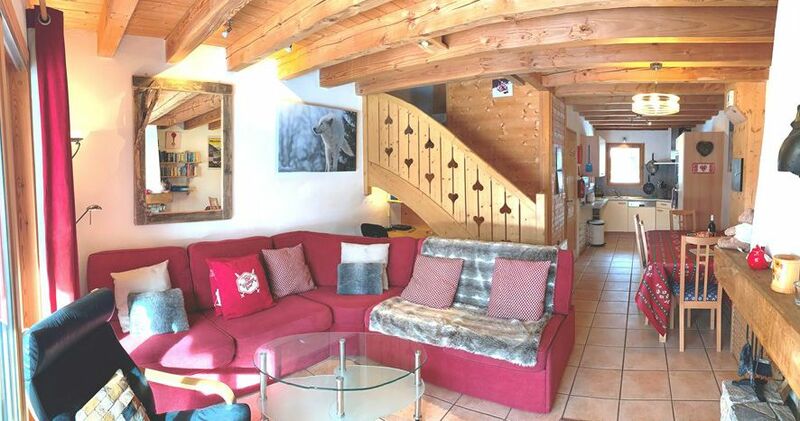 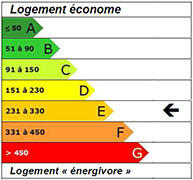 The property is part of a development of 4 apartments, it also has a garage and parking place. 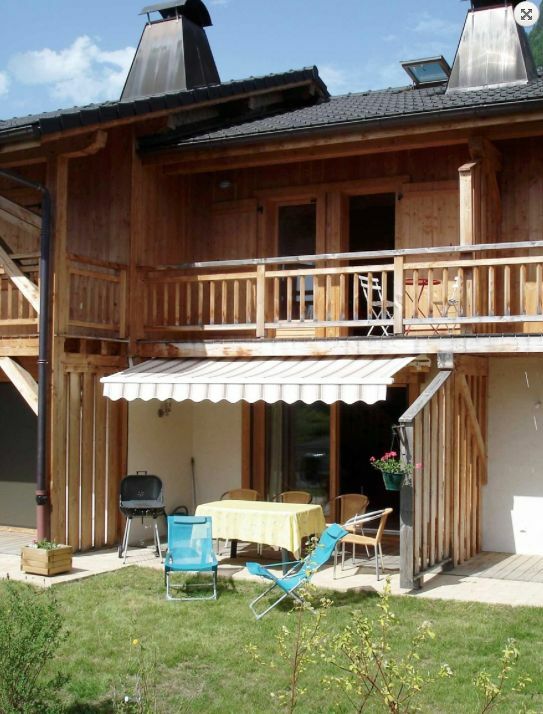 Beautiful Samoens forms part of the Grand Massif ski area and is just one hour from Geneva Airport. 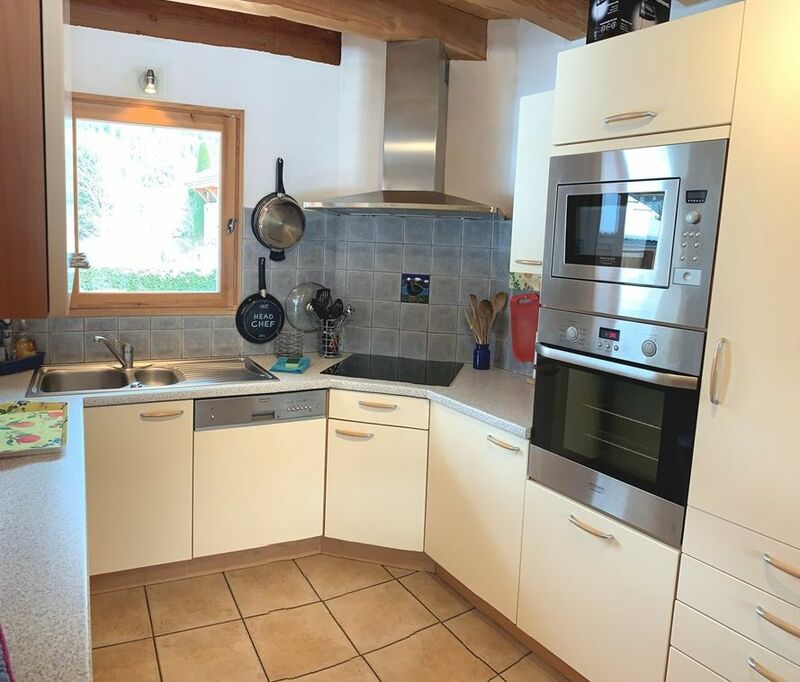 This delightful artisan styled triplex is in a quiet location, conveniently just 300m from the ski bus stop and 1km from the village centre. 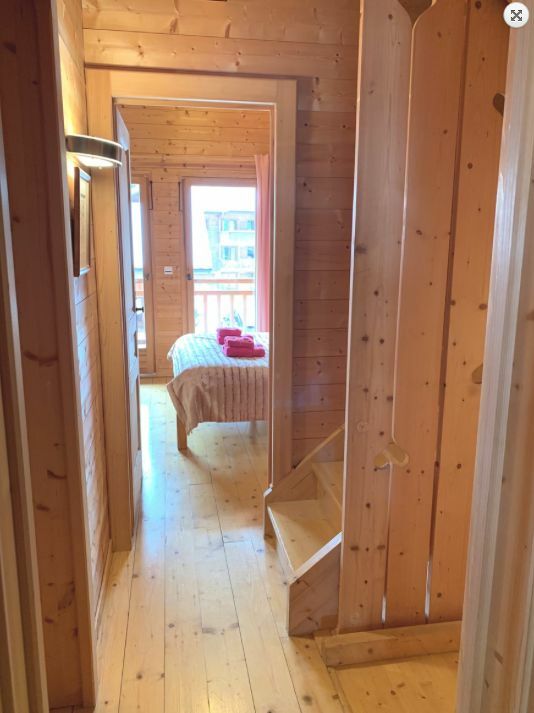 Entrance with large closet, WC. 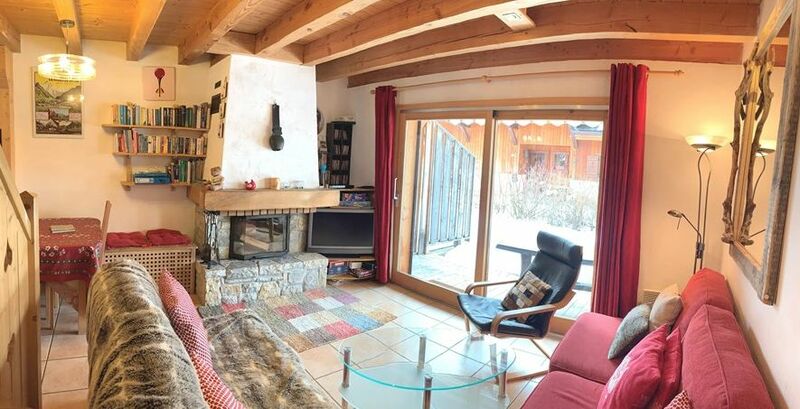 Living room with kitchenette, a traditional fireplace and beautiful terrace with electric awning. 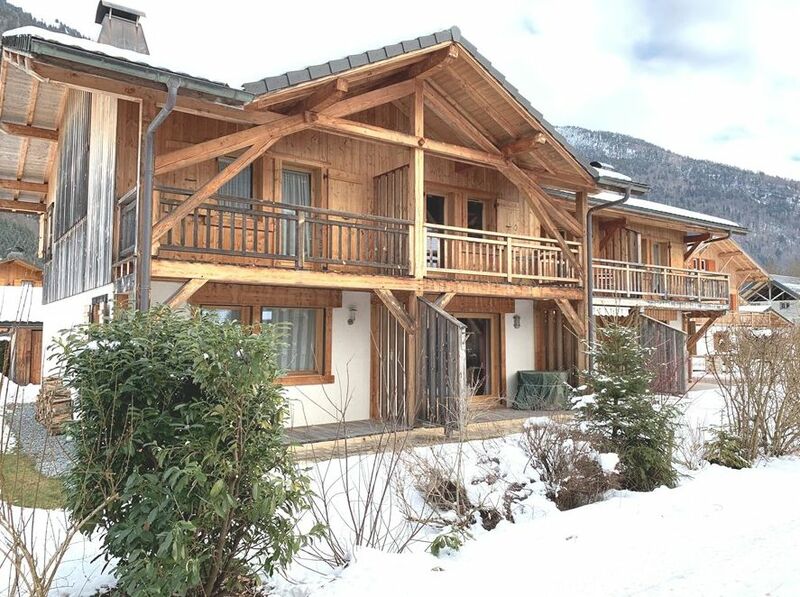 The first floor has 1 bedroom with balcony (south), 1 bedroom with WC, 1 large bedroom with balcony (east) and with ski locker. 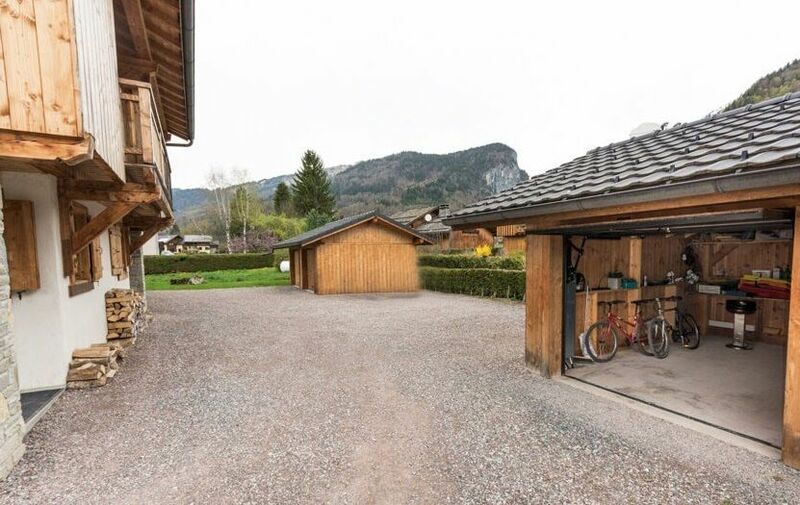 Externally there is a large garage and outdoor parking.